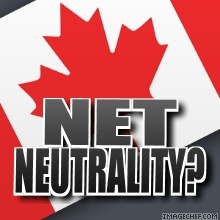 Network neutrality (also net neutrality, Internet neutrality) is a principle proposed for user access networks participating in the Internet that advocates no restrictions by Internet Service Providers and governments on content, sites, platforms, on the kinds of equipment that may be attached, and no restrictions on the modes of communication allowed. The principle states that if a given user pays for a certain level of Internet access, and another user pays for the same level of access, then the two users should be able to connect to each other at the subscribed level of access. Though the term did not enter popular use until several years later, since the early 2000s advocates of net neutrality and associated rules have raised concerns about the ability of broadband providers to use their last mile infrastructure to block Internet applications and content (e.g., websites, services, protocols), particularly those of competitors. In the US particularly, but elsewhere as well, the possibility of regulations designed to mandate the neutrality of the Internet has been subject to fierce debate. Neutrality proponents claim that telecom companies seek to impose a tiered service model in order to control the pipeline and thereby remove competition, create artificial scarcity, and oblige subscribers to buy their otherwise uncompetitive services. Many believe net neutrality to be primarily important as a preservation of current freedoms. Vinton Cerf, considered a “father of the Internet” and co-inventor of the Internet Protocol, Tim Berners-Lee, creator of the Web, and many others have spoken out in favor of network neutrality. Opponents of net neutrality characterize its regulations as “a solution in search of a problem”, arguing that broadband service providers have no plans to block content or degrade network performance. In spite of this claim, certain Internet service providers have intentionally slowed peer-to-peer (P2P) communications. Still other companies have acted in contrast to these assertions of hands-off behavior and have begun to use deep packet inspection to discriminate against P2P, FTP and online games, instituting a cell-phone style billing system of overages, free-to-telecom “value added” services, and bundling. Critics of net neutrality also argue that data discrimination of some kinds, particularly to guarantee quality of service, is not problematic, but is actually highly desirable. Bob Kahn has called the term net neutrality a “slogan” and states that he opposes establishing it, however he admits that he is against the fragmentation of the net whenever this becomes excluding to other participants. There is no higher or nobler practice than making peace with ourselves.